I come from a family of artists. My father was a sculptor, my mother a painter. 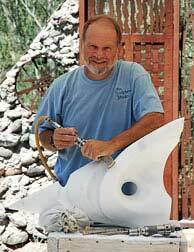 I have been an art teacher and professional sculptor for over 30 years. Having worked many thousands of studio hours, I have developed the skills and learned the techniques of sculpting in many different materials. I would like to share my skills and experience to assist you in choosing a sculpture that is perfect for your home, office, or landscape. Contact me for a free consultation on purchasing a sculpture on this site that is just right for your home. 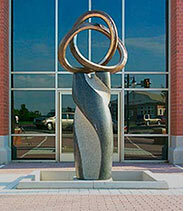 You can commission a sculpture and collaborate with the sculptor to designed a work of art to precisely fit your needs. Discuss your interest in purchasing one of the sculptures available on this web site. Sculptures for sale can be found on the Wood, Stone, or Metal pages. Mark can help give suggestions on choosing just the right piece, and for the best placement of the sculpture in your home or landscape. Upon receiving payment for the price of the sculpture, sales tax, and shipping charges (if applicable), Mark will follow through with delivering the sculpture. You will receive a curator's packet, which includes a receipt, an artist's bio, and a Certificate of Authenticity for your records.These can be kept with your art collection documents in the event that you ever need to have your art collection appraised. Mark can personally deliver the sculpture if it is within reasonable driving distance, or he will give an estimate for crating and shipping charges, either through FedEx, or Craters &Freighters www.cratersandfreighters.com. If installation of a large sculpture is required, you can discuss whether Mark will do the installation himself, or provide instructions and recommendations for others to install. If it is a difficult or complicated installation, an additional fee may be required. 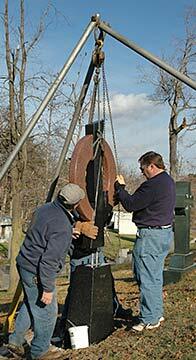 Suggestions will be provided for the care and maintenance of the sculpture. 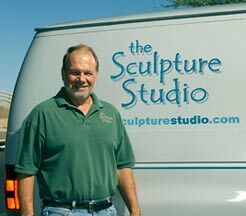 The Sculpture Studio will make every effort to ensure satisfaction with your new art work. You will also receive the curator's packet of documents, and helpful tips for maintaining the sculpture. 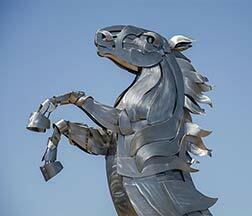 Follow the step-by-step process in creating a stainless steel sculpture commission. Follow the progress of sculpting a bronze and granite sculpture commission.